Some people who are not familiar with the Philippines would usually hard to traveling to the attractions that will be addressed. This is due to you not familiar with the condition and the transportation system in the Philippines is less good. If you are in Metro Manila, to avoid confusion and getting lost in the city center, you better buy a map of Metro Manila at the airport. By bringing the map, you can determine the position and will make it easier to find your way to the next destination. You will not find the Tourist Info Center which can provide free tourist maps in Manila. Transportation from the airport to the hotel should use a taxi because the airport is not connected with mass transportation. 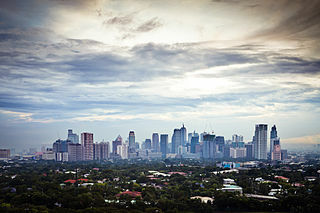 Once in Manila, you must first set goals in advance, as the hotel which will be occupied for an overnight stay or four tours to be visited for the first time. Most of the people in the Philippines can speak English active, so do not hesitate to ask if need information. If going to ride Jeepney should first read the text contained in the board’s side windshield or on the body side. Feel free ride is a jeepney for public transport. After riding the jeepney, be sure to again ask another passenger or driver about your destination. If you are confused how to ride a jeepney, you can take advantage of the MRT / LRT to get to the scene to be addressed. If it is close to the location, you can ride a tricycle, usually located near the station MRT / LRT. No need to fear riding tricycle, ask to be escorted to their destination. You are advised to pay in advance so there will be a squeeze if it has reached the goal. To go out of town, be sure to know the name of the bus has a route to the destination. For sure, you better call first. Traveling in the Philippines rely heavily on public transport to any destination. Traveling in the Philippines actually not too difficult. You will feel comfortable and safe when using a bus out of town complete with air conditioning. Enjoy the journey through the Philippines.